Last week the husband and I were in New York – it was AMAZING and I will get round to blogging about it when I’ve caught back up at home and work! Until the 11 year old said, ‘Mum – I don’t think that says ‘brilliant’ – I think it’s a rude word’. 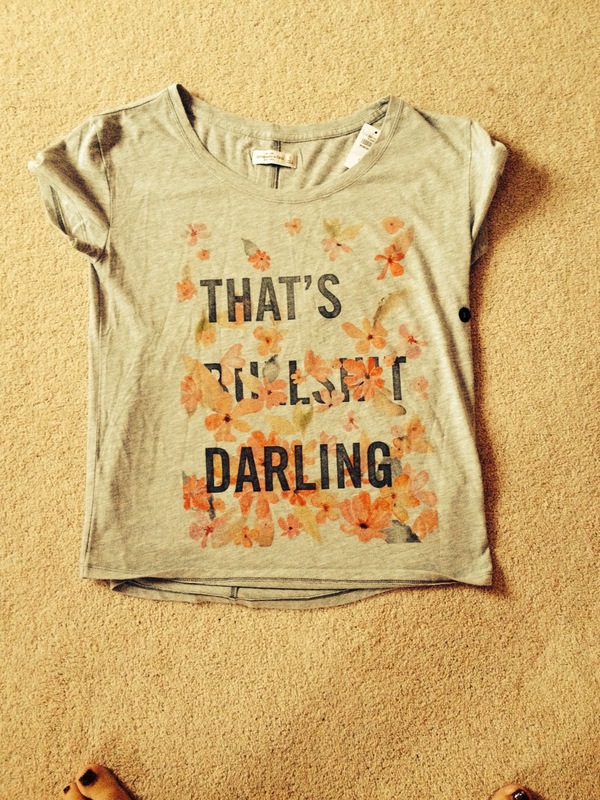 Yes – I bought my tween a T shirt with the word B*LLSHIT across the front of it. Parent of the week award to me!! This is my entry for this week’s Wicked Wednesdays – yet again I am posting about my failings – back to the kids looking stupid next week I promise!! Go and have a look at other people’s fab photos too. hahaha!! That is awesome…..Just glancing at it I did think it said brilliant too! I’m glad you said that – a number of my friends on Facebook seem to think I’m ridiculous for not noticing!!! #thebenefitofhindsight!!!! OMG that is hilarious!!!!! Best parenting fail ever!! LOL! I totally read that as brilliant, so you’re not alone.